We all know very well that photography is becoming a more important section in smartphones, hence, the tech giant Google has shown that, with a camera, they get the best results on a smartphone. 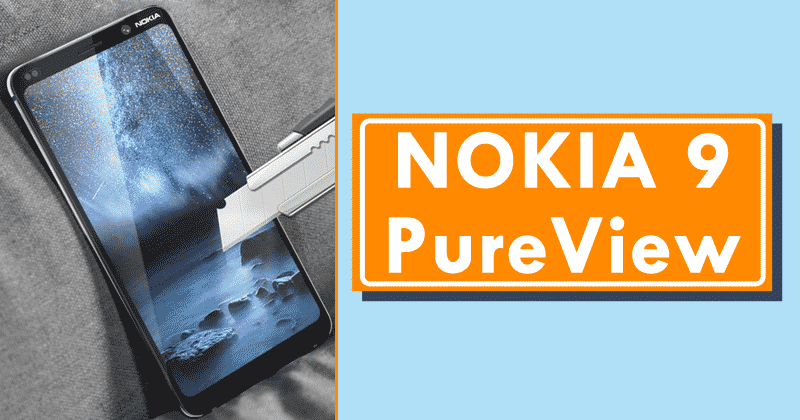 Now according to the latest reports the Finnish company Nokia’s, all-new Nokia 9 PureView to feature 5 rear cameras and leaked photo shows the stunning design and features of the smartphone. The all-new Nokia 9 PureView must be confirmed at the end of the month, during the well-known event, MWC 2019. However, the leaks are still constant, as recently, two images that give a clearer idea of the dimensions of the model and the appearance of its five rear cameras began to circulate on the internet. 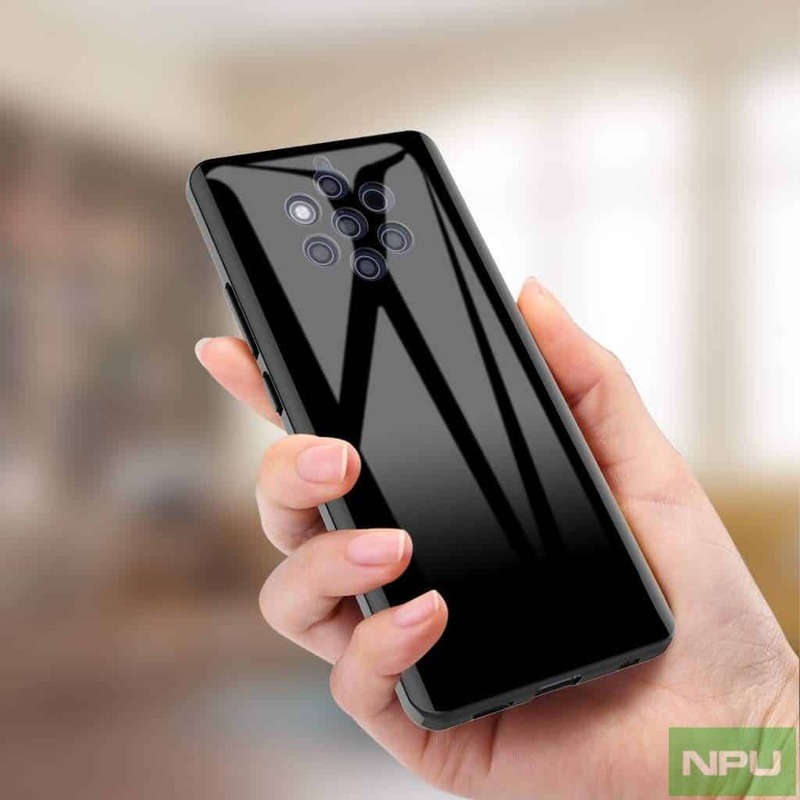 The first image reinforces the recent information that the Nokia 9 PureView will feature a screen without a notch. 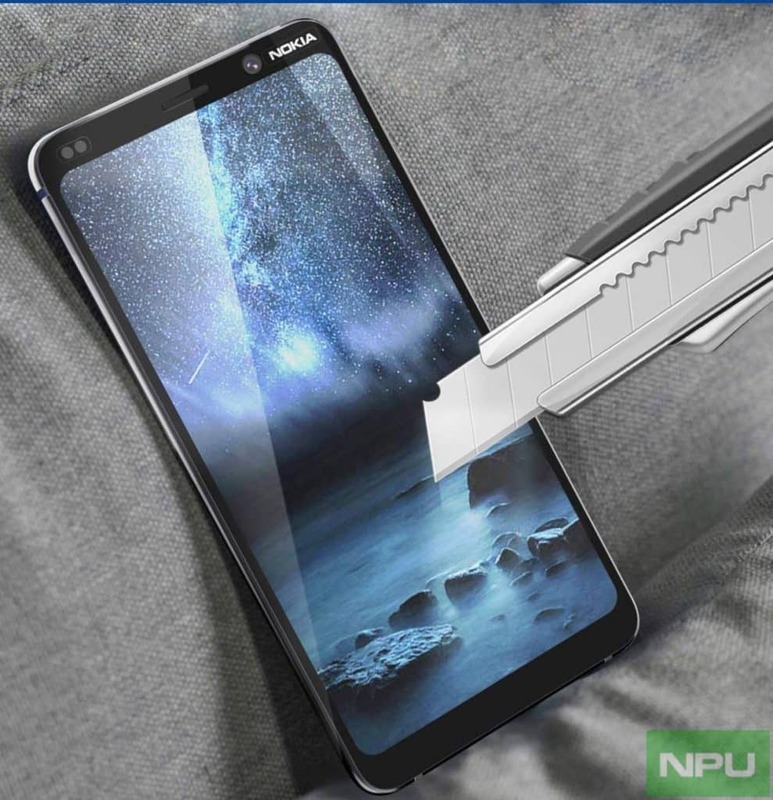 There is a knife that appears in the photo; maybe it is there to suggest that the display of the Nokia 9 PureView will be reinforced against scratches. Already the second image shows a shiny back, probably the glass back, that suggests a more precise finish, slightly similar to what we find in Nokia 7.1. In contrast, the branding of “Zeiss” and “Android One” appear in the previous leaks are not there. There, the assumption of device dimensions also becomes clearer, as the Nokia 9 PureView appears in one hand. But surely, the seven back circles draw more attention, as they house the five cameras, an LED flash and, supposedly, an autofocus module. The five rear cameras are rare, but a purported promotional video, also leaked, which reinforces that the smartphone will feature Zeiss lenses, will capture photos up to ten times brighter than the average, an important feature for night scenes and will also allow focus adjustment after the image has been captured. The same video points out that the all-new Nokia 9 PureView will have a 5.99-inch screen with a ratio of 18:9, HDR10 and PureDisplay, fingerprint sensor integrated in the display, Android 9 Pie based on the Android One program (guarantees two years of system updates) and support for wireless charging in the Qi standard. While now if we talk about the basic hardware, then let me clarify that the all-new Nokia 9 PureView is expected to bring Snapdragon 845 processor, 6GB or 8GB of RAM, 128GB of internal storage, 4150mAh battery, and the initial price is expected to start from $750. Moreover, the product director of HMD Global, Juho Sarvikas itself has confirmed the company’s presence at MWC 2019. Hence, the chances of the Nokia 9 PureView to be one of the attractions of the event are great. So, what do you think about this? Simply share all your views and thoughts in the comment section below.